This is a simple but super bold, festive look. so I knew I had to use it. 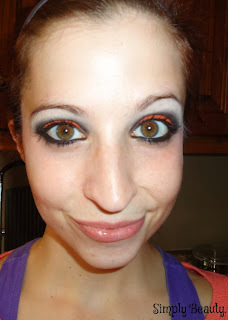 Stay tuned for a bit more colorful Halloween look in the next week or two! omg omg i looovee this. such a bright, pretty orange. LOVING Halloween!